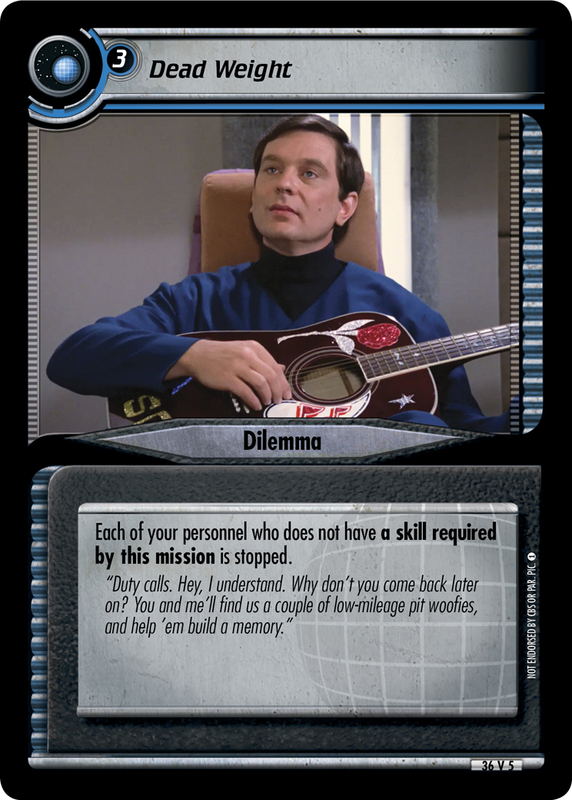 When you play this event, it is cost -1 for each dilemma beneath your missions. Plays in your core. When any number of your personnel are about to be stopped by a dilemma, you may destroy this event to prevent that. 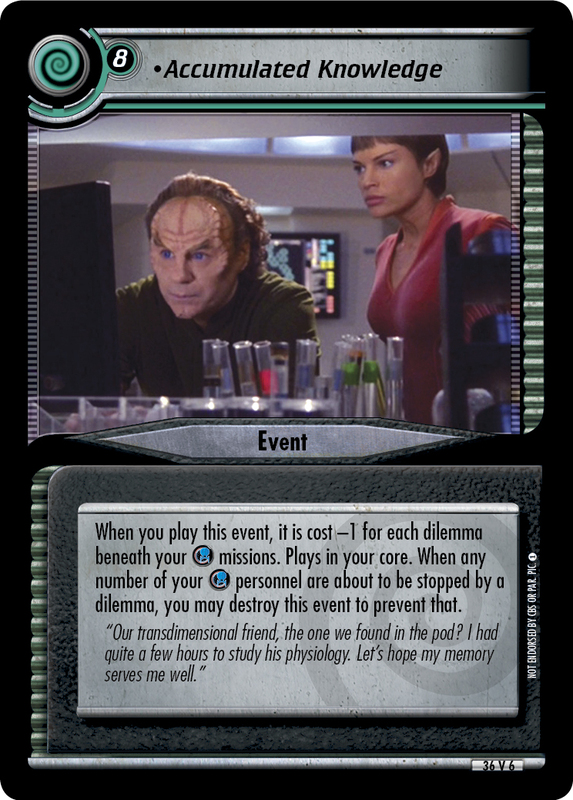 "Our transdimensional friend, the one we found in the pod? I had quite a few hours to study his physiology. Let's hope my memory serves me well." 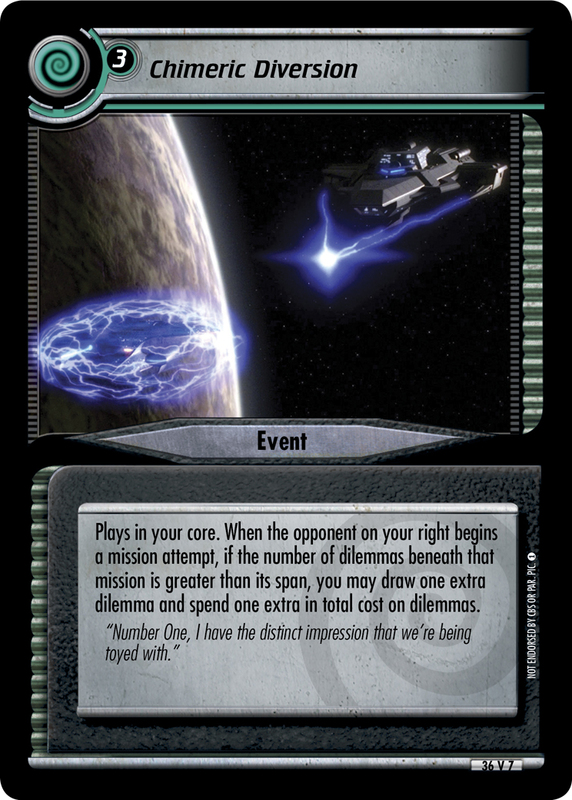 Errata'd on 2016-08-08: This card is now unique.